That was the year of our last semi-final appearance, when we lost out 4-1 on aggregate to Aston Villa, but this team are creating their own history as we knocked West Brom out of the competition for the second time in three years. Tonight always looked a difficult proposition but we started the game well and it was McCartan who had our first effort just a few minutes in, his effort saved by Baggies' goalkeeper Jack Rose who had been their star in the previous round. We continued to go forward. 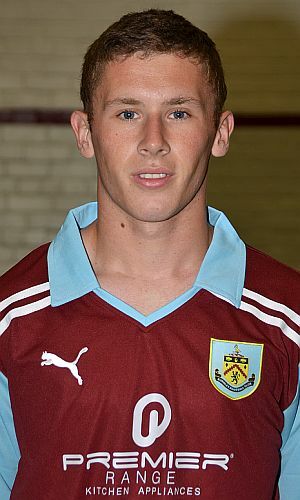 Adam Evans saw a shot blocked and then Steven Hewitt forced a corner for the young Clarets following a free kick and that led to the opening goal. It was Hewitt who received the short corner only to be fouled, and the midfielder got up to convert the penalty. Burnley were very much the better team at this stage and that continued for much of the first half. There were one or two difficult moments but had a second goal come then it was very much more likely to have come our way. Things looked good at half time but the story was very much a different one after the break as West Brom came right back at us and dominated for long periods. Aryn Williams, who seemed to have an outstanding night, kept one effort out with a clearance off the line and it looked as if it was just a matter of time before West Brom equalised. We kept them out and maybe had seen off most of the threat, but within reach of the finishing post the equaliser finally came, with just five minutes remaining as Aaron Birch headed home. You might have thought the heads could drop at this stage, but not on your life and if it did anything, it lifted Burnley who came right back at Albion. The game went into the 90th minute and McCartan received the ball from a short Hewitt corner. He moved towards goal, got onto his left foot and hit a stunning rising shot into the top corner. There was still some defending to do, and there were a couple of concerns, but when referee Stephen Martin blew the final whistle it was Burnley through with this fantastic 2-1 win. It's another away game in the quarter final, against Fulham or Manchester City. We'll know our opponents a week tonight. West Brom: Rose, Atkinson, Daniels, Tunnicliffe, Wellington (Garmston 69), Goldsmith, Birch, Turton, O'Sullivan, Jones, Nabi. Subs not used: Palmer, Hingley, Edge, Menesio. Burnley: Josh Cook, Aryn Williams, Alex Coleman, Tom Anderson, Luke Conlan, Adam Evans, Steven Hewitt, Archie Love, Cameron Howieson (Alex Mullin 69), Shay McCartan, Jason Gilchrist (Luke Daly 77). Subs not used: Callum Jakovlevs, Jack Errington, Lewis Nuttall.